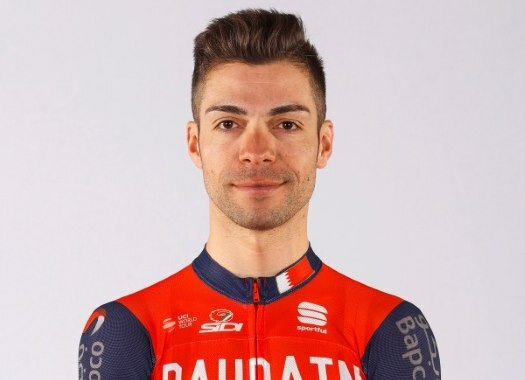 Giovanni Visconti (Bahrain-Merida) was involved in a crash with one of the Groupama-FDJ cars during the sixth stage of the Giro d'Italia. The rider suffered abrasions on the left side of the body, on the hip, elbow, knee, ankle and shoulder, after he was hit by one of the cars of the French formation. "I saw the face of death," commented Visconti to the Gazzetta Dello Sport. "I was riding at 60 kilometres per hour, on the line as I was going to get water bottles behind the car. The car of Groupama-FDJ appeared all of a sudden and I took a full hit." Visconti said the accident happened at around fifty kilometres from the finish line on the Etna. "I flew into the air, I have no words," the rider tried to explain. "I don't know how many metres. I consider myself very lucky. I have pain all over the left side of my body." But the Italian is not angry with the people of Groupama-FDJ. "The car stopped, they came to me and apologised. When I fell I hit my head. It was not their fault, possibly just a moment of distraction, but since then I've been thinking. I have escaped."